Some celebrities seem so down to earth, you&apos;d never dream that they once altered their appearance with cosmetic procedures. Case in point: Jennifer Lawrence. In the last few years, the 27-year-old Hunger Games star has masterfully cultivated a "normal" persona. She falls, she eats junk food, and she eschews Hollywood glamour. She&apos;s just like us! Or is she? A look back at Jennifer&apos;s beauty evolution reveals an actress whose rise to fame was perhaps a little more calculated. At the very least, her look has changed—a lot. So who is the real Jennifer Lawrence? Let&apos;s see if we can find out! Jennifer Lawrence at Movieguide&apos;s 2007 Faith and Values Awards Gala. In this first photo, Jen was just 17 years old. And yes, I checked. This IS Jennifer Lawrence, even though it barely resembles her today (which will be a recurring theme over the next few pics). Back then, she had bleached-blonde hair, over-plucked brows, and what appears to be a wider nose. Jennifer Lawrence at Declare Yourself&apos;s Hollywood Celebrates 18 party in 2007. This one&apos;s a little closer to the Jennifer we know today, although I still wouldn&apos;t recognize her. She&apos;s got the bright blonde hair that was so popular in the mid-&apos;00s, which we&apos;ve spotted in many other Before & Afters. And we can see that she always did have straight, even teeth. Jennifer Lawrence at the 2008 Summer TCA Tour Turner party. The following year, she darkened her hair for a brief time, and started wearing the eye makeup she&apos;s remained fond of to this day. In this shot, you can definitely see a different nose than she has now. Jennifer Lawrence at Teen Vogue&apos;s 2008 Young Hollywood party. The same goes for this photo. While it does resemble the Jennifer Lawrence we know, you can clearly see that she did alter this nose later on. Oh, and hired better stylists—the daisy headband had to go! Jennifer Lawrence at Nylon&apos;s launch issue party in 2009. See what I mean about her looking like a different person? Perhaps it&apos;s because in 2009, she darkened her blonde and didn&apos;t wear as much eyeshadow. Her skin is just gorgeous. And here&apos;s yet another look where Jen is barely identifiable. Her face shape was so much more oblong here than it is now. Plus, her monolid eyes are especially noticeable with just the false lashes. I think she tried to over-draw her lips before that became a thing. Jennifer Lawrence at the 2010 launch of MARKT Beauty. In 2010, Jennifer went even darker with her colour, and rocked these amazing waves (apparently she has a naturally wavy texture). But she still doesn&apos;t have quite the same look to her facial features, wouldn&apos;t you agree? Take note of her lips, by the way, because even those will change! Jennifer Lawrence at the 2010 Hollywood Awards Gala. By the end of 2010, at age 20, Jennifer was starting to look a lot more glam. She went back to blonde hair, styled in a voluminous blowout, and piled on the eyeliner and shadow. Even her facial features are looking more voluptuous, especially her cheeks. Jennifer Lawrence at the 2011 Palm Springs International Film Festival. This is the shot where it becomes quite obvious Jen was tinkering with her face. Her lips look totally bee-stung, and they are now twice the size they were in early 2010. And her lower face is MUCH fuller. She didn&apos;t suddenly gain weight, so the only explanation is... injectables! Jennifer Lawrence at the 2011 Critics&apos; Choice Awards. Here&apos;s another one that shows an unnaturally bloated look from the over-use of filler. (Jen was still only 21 here!) We know she doesn&apos;t have an upper lip that is this large—equal to if not greater in size than the lower one. It also seems like the Restylane was injected in an attempt to widen her face. The last thing to notice is her nose, which she altered by the following year. What a difference a few months make! Just in time for The Hunger Games, which would make her a household name, Jennifer had a brand new look. Gone are the fillers in her lips, cheeks and temples, so her face shape looks oblong again. The other big change is a new nose. It&apos;s narrower through both the nostrils and bridge, and the tip is more defined. Her eyes also look more wide-open. And this is the hairstyle she wore in those halcyon days of early fame: long and wavy with bangs, in a light honey brown hue. Plus, her makeup got a major upgrade—we&apos;ll never see her again without clever eye shading. That&apos;s why it&apos;s hard to tell if she did something surgical to her lids! Jen was also a deep brunette for a short time, with dramatic eye makeup to match. From her facial expression, even she knows this isn&apos;t her best colour! This is also a good shot of her new nose. The work is very skilled—I&apos;d never have guessed she wasn&apos;t born with it. Jennifer Lawrence at the 2013 Santa Barbara International Film Festival. Jennifer lightened her hair a few notches in 2013, just before she started going progressively shorter. I wouldn&apos;t have recognized her here, either. Jennifer Lawrence at the 2013 GLAAD Media Awards. I can still remember the buzz about Jennifer&apos;s first foray into shorter hair, this textured lob with face-framing blonde highlights. I&apos;m not convinced that she gave up the injections permanently, as her lips and cheeks look fuller again here. And then, Jen famously got a short haircut, which seems to be a rite of passage for most young celebs. It looks amazing worn straight and blonde, with the vampy lipstick. If I&apos;m not mistaken, her features look more sculpted again, indicating the fillers were dissipating. Jennifer Lawrence at the 2014 Academy Awards. For the Oscars, Jen was all about the effortless glam. If this styling doesn&apos;t say "A-list," I don&apos;t know what does! Notice how her brow colour has changed to match the various hair looks. By mid-2014, Jennifer was growing out her pixie and wearing her natural waves. Let&apos;s return to the question of her eyes. They&apos;re still hooded, but not as noticeably so compared to 2011. So if she had a blepharoplasty procedure (to remove excess skin from the eyelids), it would not at all surprise me. Next, we entered the wavy bob (wob) stage, which was so cute. The sophisticated makeup and absence of trends like contouring, false lashes and strobing belies Jen&apos;s age, 24. Jennifer Lawrence at Comic-Con 2015. By 2015, Jennifer was sick of the grow-out process, so she did what any other celeb used to instant gratification would do: she got hair extensions. I&apos;m not a fan of this long, textured look, but her skin and makeup are flawless. The extensions didn&apos;t last long, however, and by the end of the year, Jen had removed them to reveal this shoulder-grazing lob. If you ask me, everything about this hair is perfect for her! Jennifer Lawrence at the 2016 Academy Awards. Another year, another Oscars ceremony. But when Jen showed up at this one, there were rumours that she had a "new face." My guess is that she simply topped up her cheek injections again, but people only noticed it because she wasn&apos;t as famous before. Never content to stick with one hair look, Jennifer switched things up with this silvery platinum hue. It&apos;s so striking with the red lipstick (which she rarely wears) and flushed cheeks. In late 2016, it was back to sandy blonde, and (I think) the extensions. This hairstyle is actually a long braid, at the back. Jennifer was 26 by this time. This eyeshadow is a work of art! Lately, Jennifer&apos;s style has been a lot quieter on the red carpet. This romantic updo, floral hair accessory and soft makeup is an example. And that brings us to the most recent photo, where Jennifer embraced a laid-back Boho vibe. I love it! I&apos;m pretty sure this is her real hair now, no extensions, and her natural wave. Everything about the makeup is fantastic, from the dewy skin to the kitten liner to the raspberry lipstick. Personally, I think she&apos;s never looked better! Jennifer Lawrence in 2007 (left) and in 2017 (right). Jennifer Lawrence may be the most "relatable" celeb, but she&apos;s also someone who has changed her facial features—not just her hairstyle and colour. I don&apos;t know about you, but I was surprised to see so many examples of her looking different, almost unrecognizable, in the early years. In 2016, Dr. Anthony Youn noted that "JLaw looks quite different. 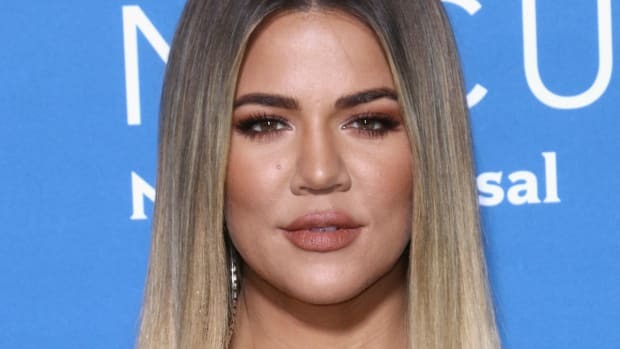 Her face looks a bit puffy, possibly due to a recent allergic reaction or even injections of a filler into her cheeks and lips, such as Juvederm." Dr. Susan Evans added: "She looks as if she&apos;s gotten cheek implants, and removed the buccal pad [to thin] out her cheeks. Her lips appear to have hyaluronic acid in the lower lip especially." I&apos;m not sure about cheek implants, but I agree 100 percent about the fillers. I also believe that Jen had a rhinoplasty to thin and define her nose, and possibly an eye lift (although it&apos;s hard to say for sure with all the makeup). Whatever work was done since she skyrocketed to stardom, it&apos;s clear that it was GOOD work. These days, nothing about her looks artificial, which is how it should be!